He assured the community and the school authorities that the Iduapriem employees would continue to offer them the needed support in line with AGA’s social investment and education improvement programmes. Mr Yamoah also called on other workers to come to the aid of communities and schools facing similar challenges. The Headteacher of the School, Frederick Archer, was grateful to the Association for the kind gesture and called on them and other benevolent organisations to assist the school to acquire computers to facilitate effective teaching and learning of Information Communication Technology (ICT) in the school. 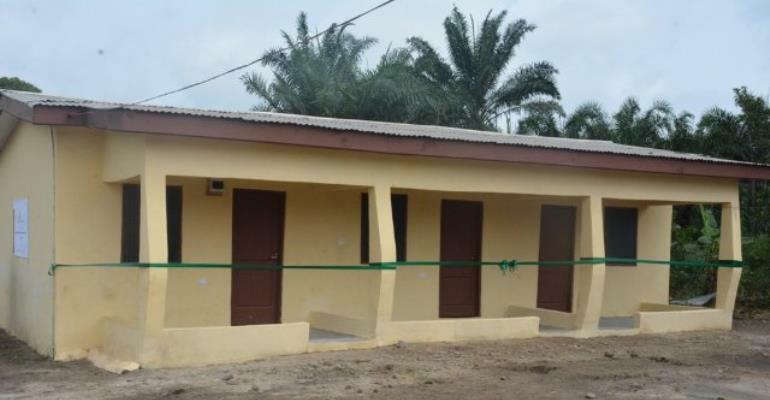 Circuit Supervisor for Awudua, Stephen Teye Zuta, who represented the Municipal Education Director, commended the Iduapriem employees for the project and noted that most teachers were hesitant in accepting postings to the school over lack of accommodation. He, therefore, admonished the headteacher, the School Management Committee (SMC), teachers and elders of the community to take good care of the building and keep it in good shape at all times.